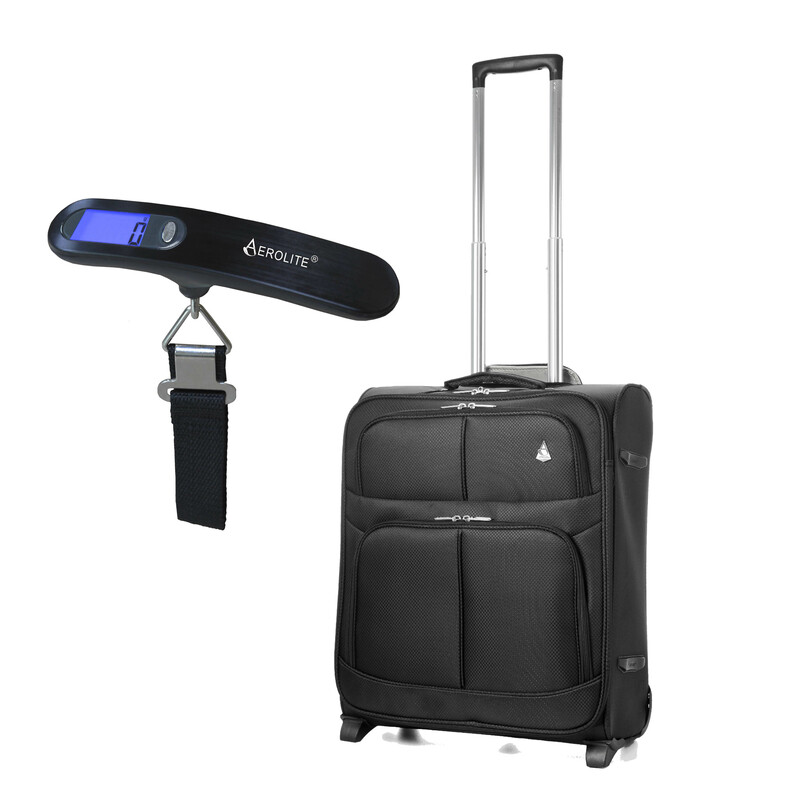 The Aerolite brand is renowned for producing ultra-lightweight luggage; helping thousands of holidaymakers beat weight restrictions at the check in gate. By reducing the weight of the suitcases, it allows travellers to pack more and to avoid excess baggage costs. Made from high-quality, rip-resistant polyester fabric, the case is hardwearing and designed to stand up to the rigours of modern transportation. The lightweight frame, two wheels and retractable handle make transporting the case as easy and simple as possible. Inside the case, youÕll find an attractive branded interior lining, with multiple compartments to store key items and packing straps to hold your belongings in place. We also include a 3-digit combination barrel padlock for added security. Plus, with a fantastic 10-year guarantee on all our Aerolite soft shell suitcases, you can buy with absolute confidence. Hitting the high street in their thousands, the traditional shopping trolley has come a long way in recent years. 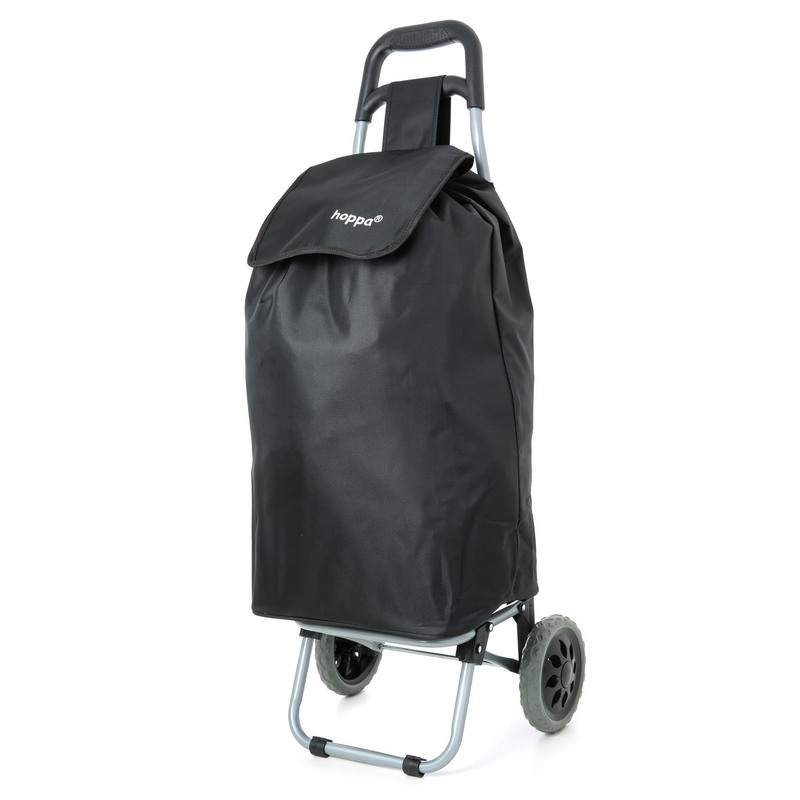 As one of the hottest new accessories, a Hoppa Push Trolley provides you with the most comfortable way in which to get your belongings from A to B.Coming in an array of designs and colours, whether you’re young or old, you’ll enjoy the extended shopping stamina you get from shopping with a Hoppa! 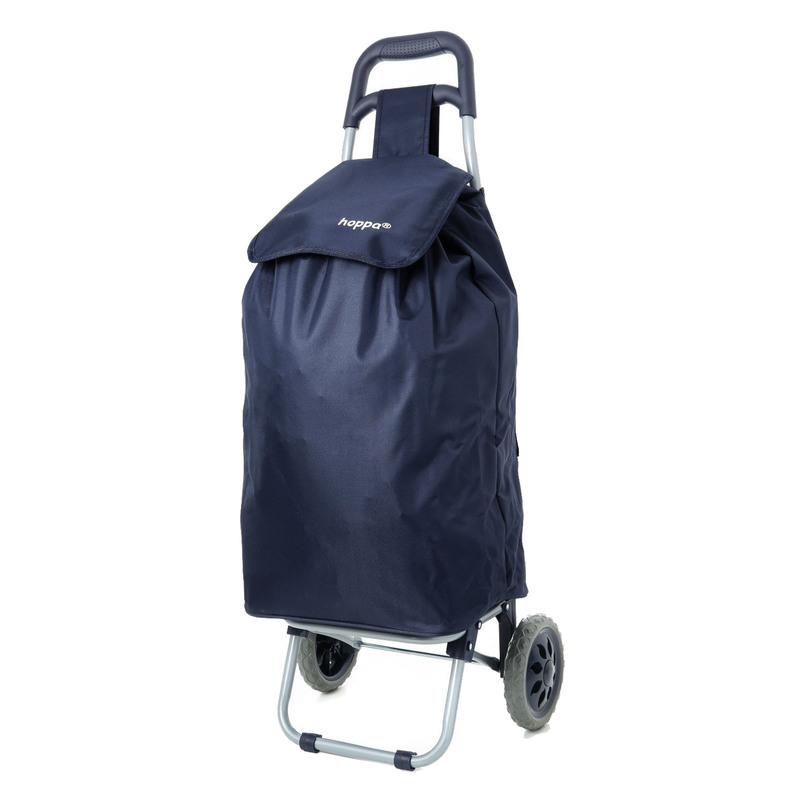 This shopping trolley features an impressive 44L capacity which will ensure that you’ll have enough room to get all your groceries home, plus room for any extra bags such as your handbag or purse. Going to a festival? What better way to get your camping gear from your car to the site. Made from a Hard wearing and waterproof Polyester microfiber material, you’ll be able to brave all seasons without worrying about your items becoming harmed. A drawstring closing also ensures extra protection from the rain, whilst a sturdy easy-to-grab handle helps you drive whilst also offering you support. When not in use, you need not worry about the storage space that a shopping trolley will take up. The Hoppa range simply folds up flat, allowing you to store the trolley simply and conveniently behind a door, in a cupboard or in the boot of your car, ready for its next adventure. All Hoppa Shopping Trollies come with a 1 year Guarantee for peace of mind, so if you experience any problems with your item we’ll replace your item right away. 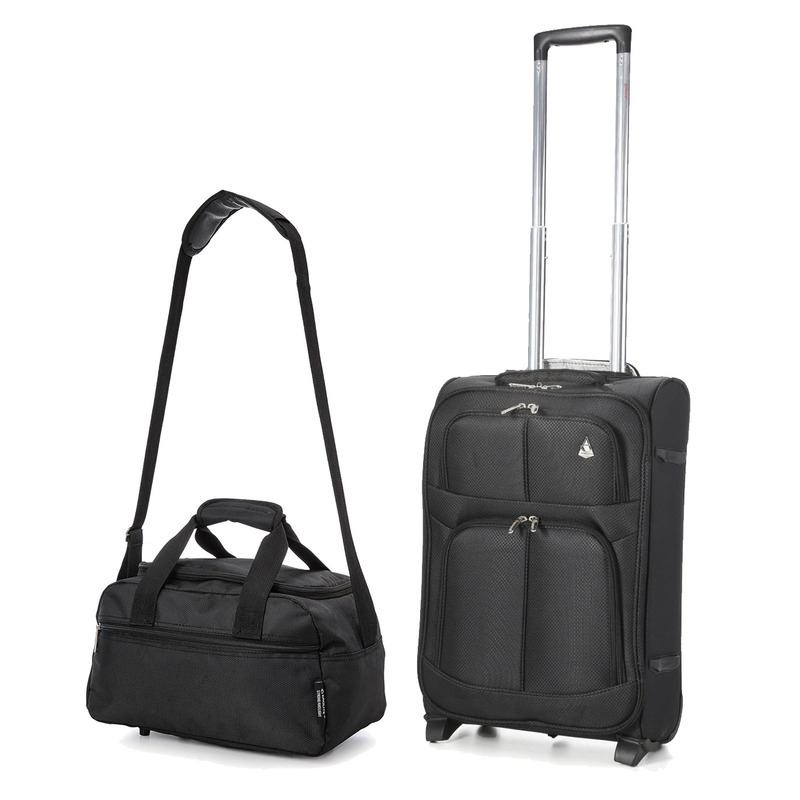 ABOUT LUGGAGE TRAVEL BAGS Luggage Travel Bags are the UK’s leading supplier of luggage products, specialising in stylish, yet durable lightweight pieces of luggage, cabin bags and wheeled suitcases for even the most adventurous of travelers. THE HOPPA RANGE Hitting the high street in their thousands, the traditional shopping trolley has come a long way in recent years. 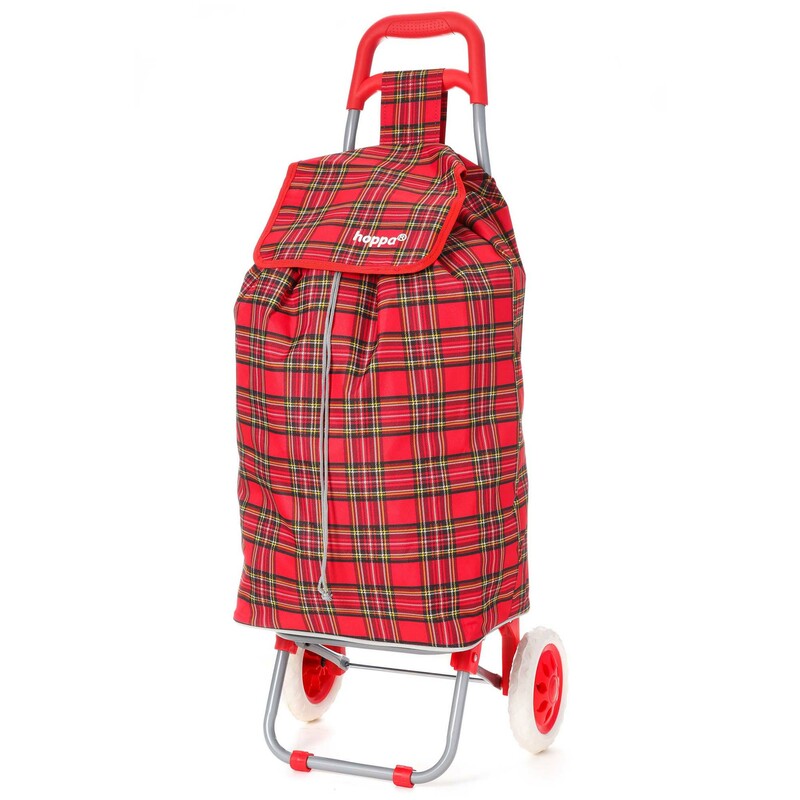 As one of the hottest new accessories, a Hoppa Push Trolley provides you with the most comfortable way in which to get your belongings from A to B.Coming in an array of designs and colours, whether you’re young or old, you’ll enjoy the extended shopping stamina you get from shopping with a Hoppa! This shopping trolley features an impressive 47L capacity which will ensure that you’ll have enough room to get all your groceries home, plus room for any extra bags such as your handbag or purse. Going to a festival? What better way to get your camping gear from your car to the site. Made from a Hard wearing and waterproof Polyester microfiber material, you’ll be able to brave all seasons without worrying about your items becoming harmed. A drawstring closing also ensures extra protection from the rain, whilst a sturdy easy-to-grab handle helps you drive whilst also offering you support. When not in use, you need not worry about the storage space that a shopping trolley will take up. The Hoppa range simply folds up flat, allowing you to store the trolley simply and conveniently behind a door, in a cupboard or in the boot of your car, ready for its next adventure. All Hoppa Shopping Trolleys come with a 1 year Guarantee for peace of mind, so if you experience any problems with your item we’ll replace your item right away. 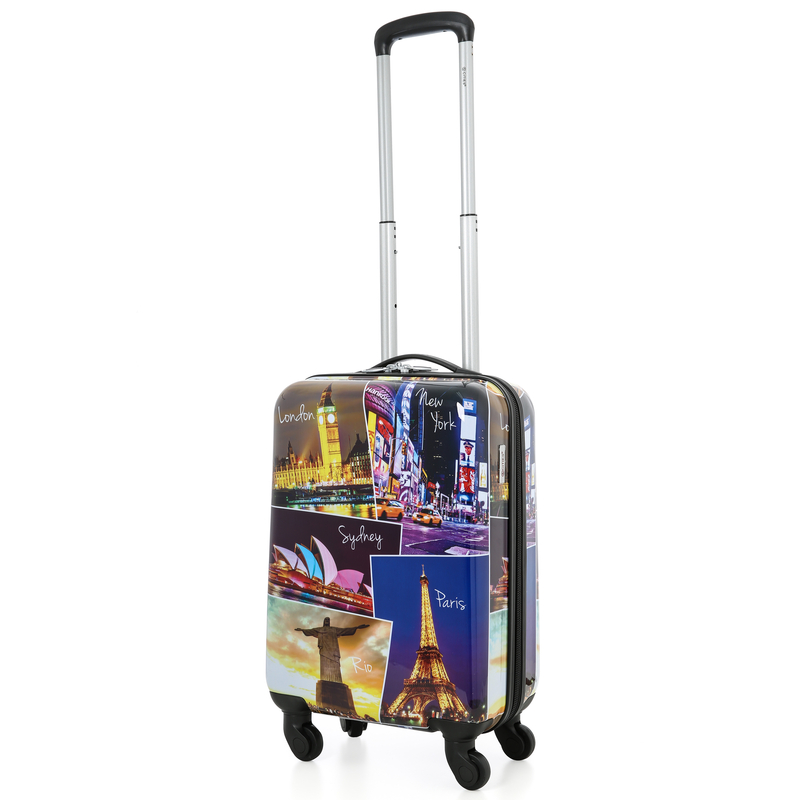 ABOUT LUGGAGE TRAVEL BAGS Luggage Travel Bags are the UK’s leading supplier of luggage products, specialising in stylish, yet durable lightweight pieces of luggage, cabin bags and wheeled suitcases for even the most adventurous of travellers. This suitcase is EXACTLY 56X45X25CM to allow you to PACK THE MAXIMUM POSSIBLE ALLOWANCE for two of the UK’s most popular airlines – easyJet and British Airways. 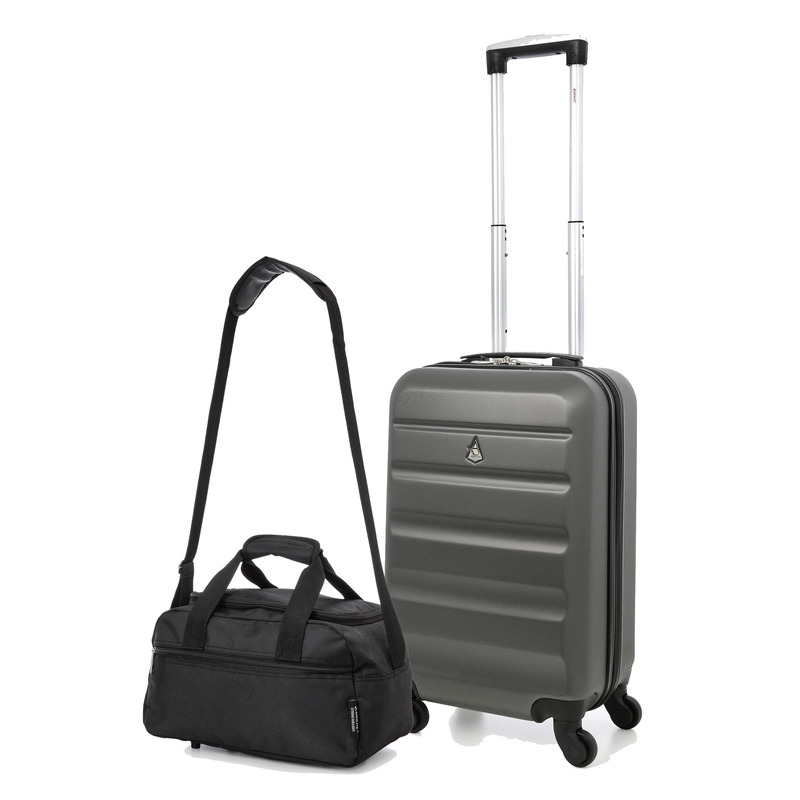 The Aerolite brand is renowned for producing ultra-lightweight luggage; helping thousands of holidaymakers beat weight restrictions at the check in gate. By reducing the weight of the suitcases, it allows travellers to pack more and to avoid excess baggage costs. Made from high-quality, rip-resistant polyester fabric, the case is hardwearing and designed to stand up to the rigours of modern transportation. The lightweight frame, two wheels and retractable handle make transporting the case as easy and simple as possible. Inside the case, you’ll find an attractive branded interior lining, with multiple compartments to store key items and packing straps to hold your belongings in place. We also include a 3-digit combination barrel padlock for added security. 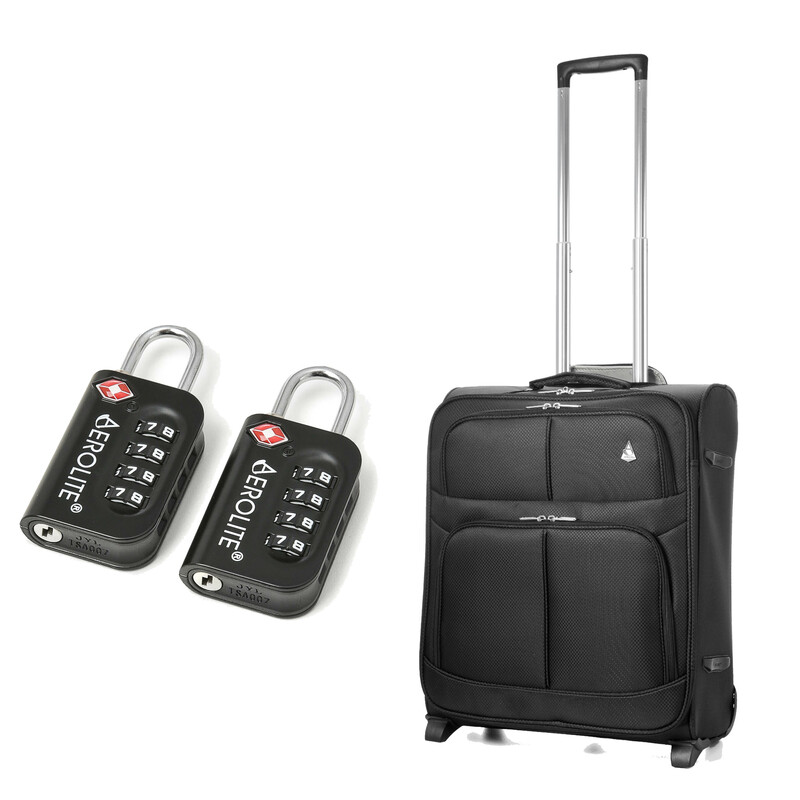 Plus, with a fantastic 10-year guarantee on all our Aerolite soft shell suitcases, you can buy with absolute confidence.